How can you ensure you ask all of the right questions when selecting an IBC supplier? Choosing the ideal IBC system to meet your needs can difficult. 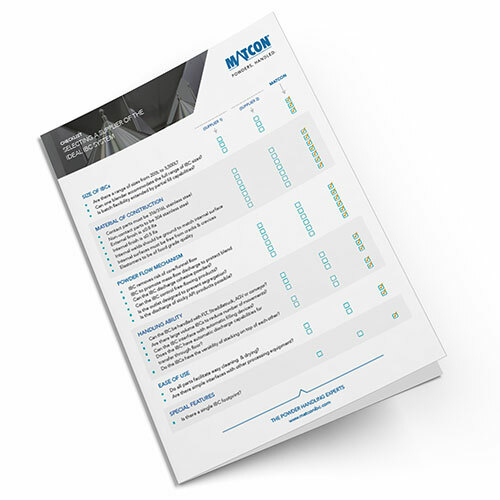 Whilst you want to ensure that your provider understands your requirements, you also need to adhere to the highest industry standards..
To help you ask the correct questions of your IBC provider, we've developed the Ideal IBC System Checklist. Use our guide to help you solve your powder handling problems and validate your equipment procurement process.